I’m always happy to hear about exciting new bars and restaurants, especially if they are local. 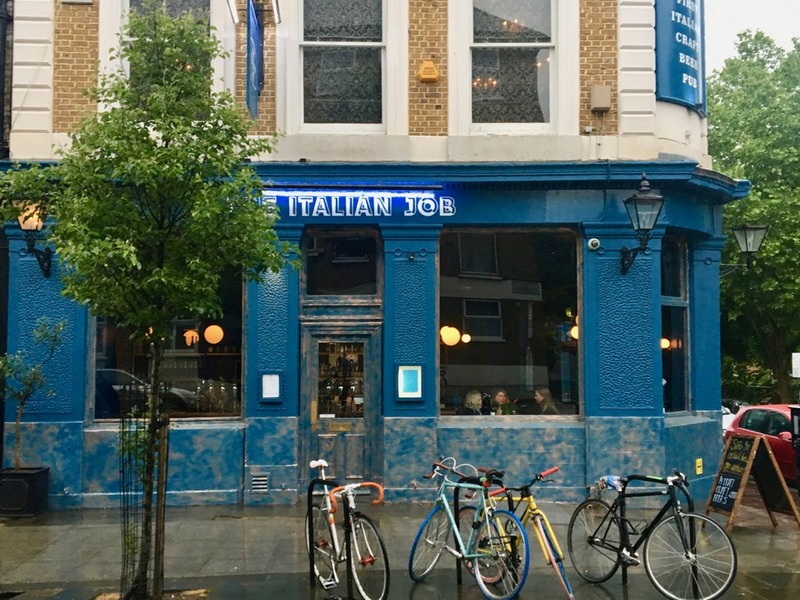 All Saints Road in Notting Hill has for many years been a great destination for good food and cool bars for those in the know, so I was keen to visit the all-new The Italian Job. 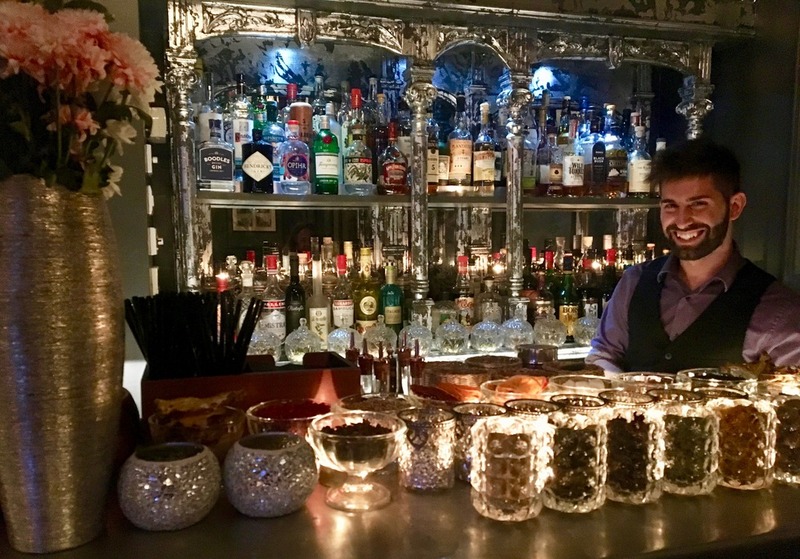 The Italian Job Group is the brainchild of Giovanni Campari and Giuseppe Verdoni, whose aim is to bring the genius behind the master craftsmen of Italian food, beer and cocktails to the streets of London, ensuring the capital can experience a slice of traditional Italy right on their doorstep. They have their own house brewery serving unique craft beers, which you are sure to relish if you are a beer lover. 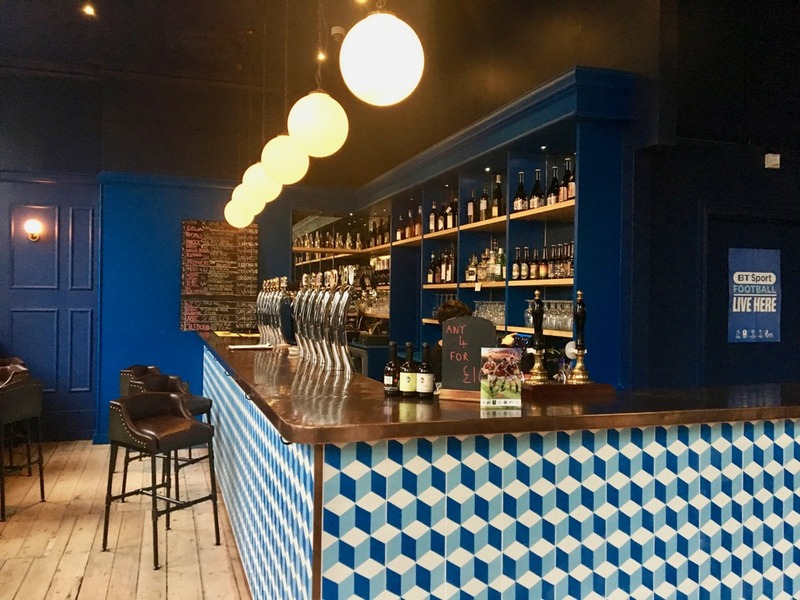 All Saints Road is their third venture; there is already an Italian Job in Chiswick and a craft beer shack at Mercato Metropolitano in Elephant & Castle. What sets this one apart from the other two restaurants is the inclusion of an eclectic speakeasy style cocktail bar Salotto ‘900, which I discovered tucked away on the second floor, in a fabulous room with a glistening bar and a charming barman into the bargain. (This would also be a perfect place for a private party). They have enlisted the services of star mixologist Luca Corradini of Oriole and The Savoy’s American Bar fame to create a mouth-watering menu of the finest Italian cocktails, Luca’s creations include a series of classic cocktails with contemporary twists such as Botanico which fuses Tanqueray Gin and Pine liqueur and The Inventor; a mixture of Plantation 3 Star Rum, Citrus, Mirto Myrtle Liqueur and Amaro Isolabella. 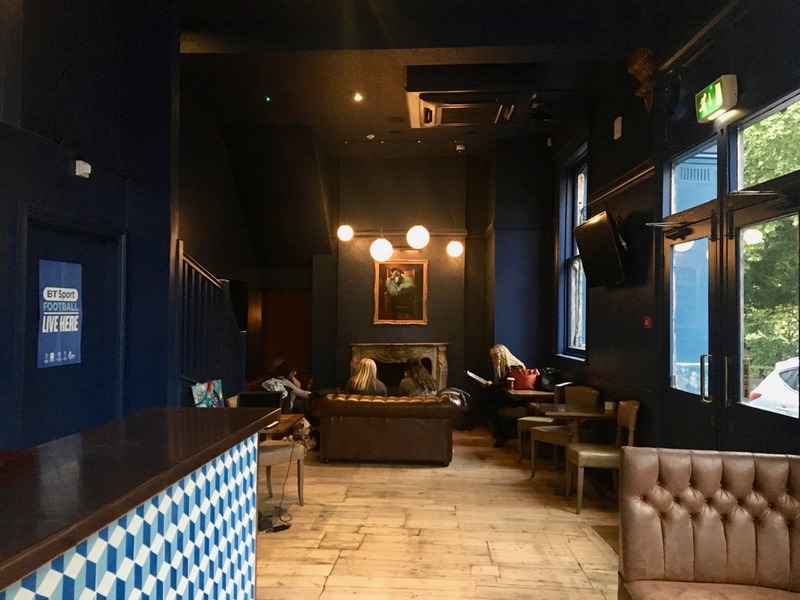 Downstairs I was struck by the large spacious bar area, brought to life by the traditionally tiled blue and white bar, wooden floors and large comfy leather sofas and chairs, and a cosy restaurant area in the back, where we sat. 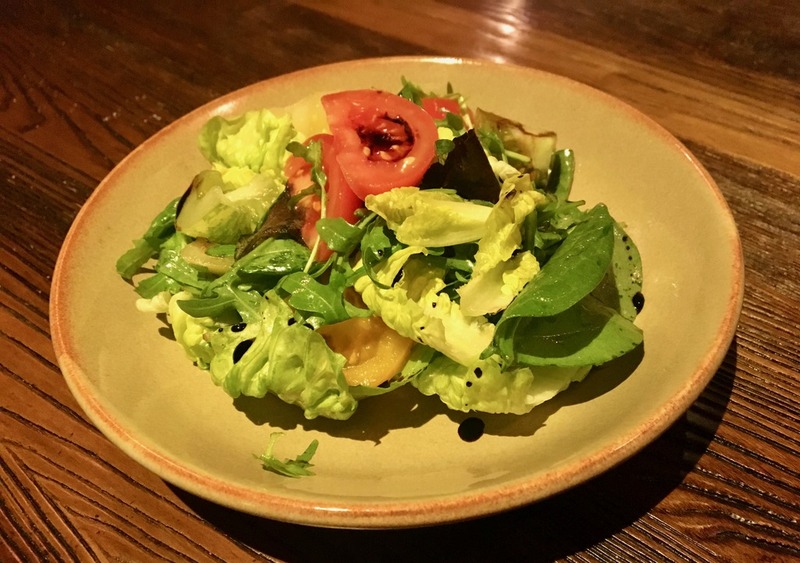 They boast two different menus, one for the bar, which offers a selection of burgers, bruschetta, cured meats and light salads. I did notice that there isn’t much on offer for a vegetarian or fish eater, however, their restaurant menu is more extensive and offers something for everyone with a choice of dishes based on Italian street food and regional specialities, including some excellent traditional starters with a modern twist, fresh pasta, meat and fish. To start with my friend and I shared the Burrata and Cured Salmon with Beetroot & Toasted rye bread (£10). 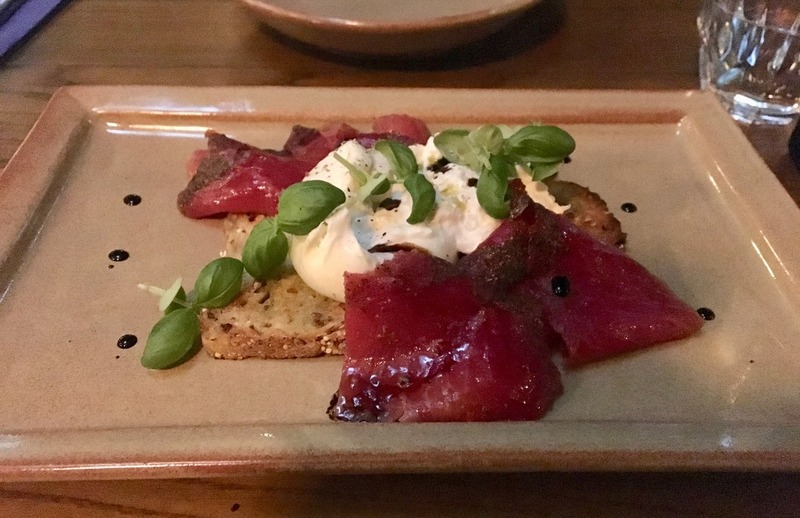 We were both in agreement that it was absolutely delicious; the subtle smokiness of the beetroot infused salmon complimented the divine fresh creamy burrata and crunchiness of the thin, crisp rye bread. We both chose pasta for our mains. 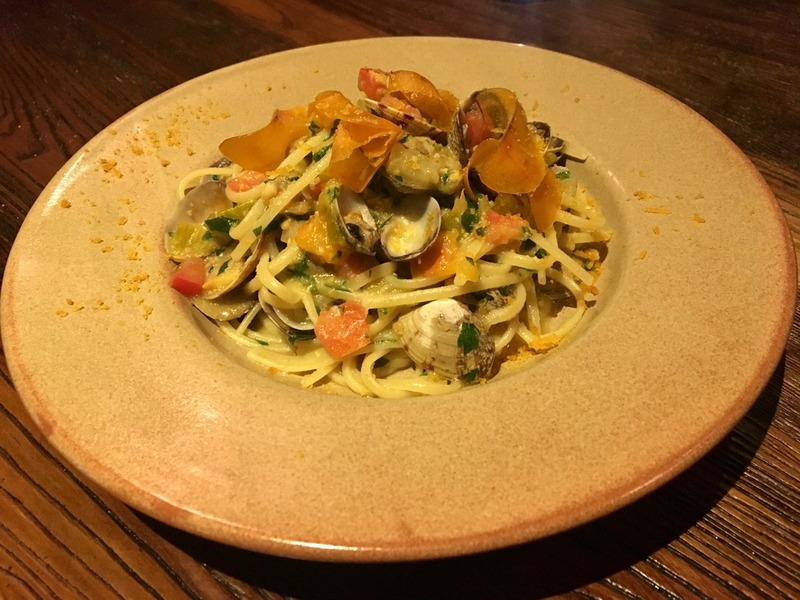 The Linguine with clams and bottarga (£13.50) is a traditional dish from Sardinia. Bottarga is dried and salted fish roe, sometimes called the “poor man’s caviar” (even though it isn’t especially cheap), it’s usually made from mullet, but sometimes it’s made from the roe of tuna or swordfish as well. It worked especially well with the clams and added an understated salty flavour, which went perfectly with the spaghetti to provide a juicy sauce. 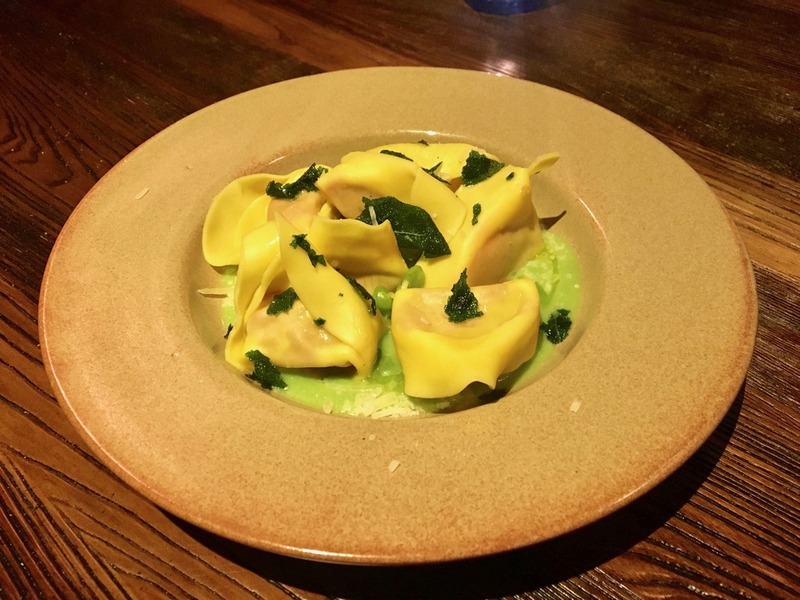 The Hand-made tortellini stuffed with beetroots and goats cheese served with broad beans (£11.50), tasted beautifully fresh, and the excellent creamy broad bean sauce complimented the al dente, beetroot stuffed pasta. We also had a crisp green salad on the side. We drank Trebbiano Falerio 2015 – a full dry bodied flavoursome white wine with a hint of oak. For desert we shared an indulgent Birramisu, which is very similar to a Tirramisu, but added to the cream is their very own Black Pear stout beer, which was surprisingly rather tasty. The service was friendly and helpful, and our lovely waitress was aptly from Sardinia, and was able to fill us in on some of the Sardinian specialities. I was very impressed the freshness of the ingredients and the overall quality of the food, plus its authentic Italian feel. I will definitely be paying the Italian Job another visit, but next time, after I might head upstairs to sample some of those fabulous sounding cocktails, and I am rather hoping they can make me a mean Negroni, which is undoubtedly my favourite Italian cocktail. Just had a long leisurely Sunday lunch here.